Home / a year after typhoon Yolanda / News / social media / Society / What is it Now a Year After Typhoon Yolanda? What is it Now a Year After Typhoon Yolanda? It has been a year now after super typhoon Yolanda, internationally known as Haiyan swamped the Eastern Visayas, especially Tacloban City and Leyte. 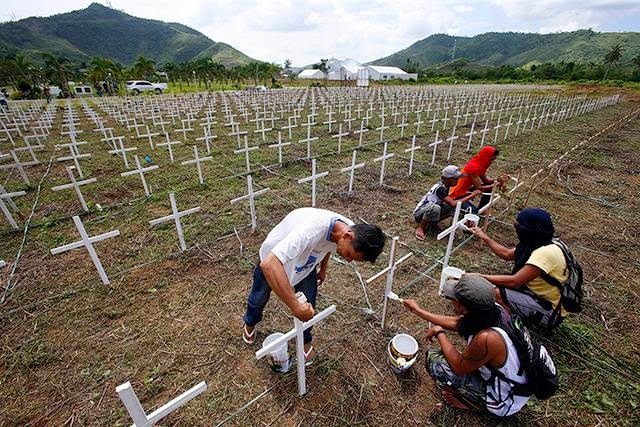 According to an Interaksyon report, “Yolanda affected 171 cities and municipalities in 14 provinces and six regions, destroying or damaging more than a million homes, leaving more than 7,000 people dead -- at least by the official count -- and a thousand more missing, and displacing some 4.1 million.” It has been a year, but the aftermath of the surge storm still lingers as survivors continue to despair, crying for yet slow recovery and rehabilitation. It was November 8, 2013 when Yolanda made a landfall in central Philippine province, hard-hitting Tacloban City, which caused a destructive trail of buildings, houses and other infrastructures and sea leveling the seaside homes in a massive storm surge. There was a widespread destruction caused by the storm surge where roads were blocked, buildings were toppled, forcing aviation authorities to close the terminal for commercial flights, delaying immediate rescue and operation and relief goods to be sent off. The death tolls rose and thousands of dead bodies and corpses were laying everywhere. 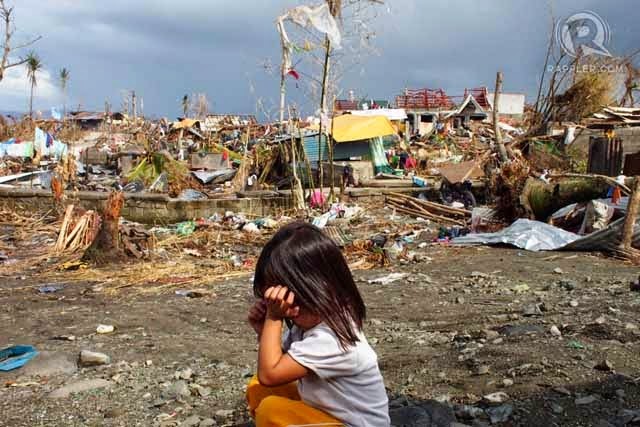 Devastating and horrifying images and reports were witnessed by Filipinos and thousands of tormented survivors were seeking help locating their loved ones and asking desperately for ambulant place to evacuate as well as for food supplies, relief goods and clean water to be distributed as hunger and scarcity was very high. Days passed and a widespread incidence of looting had been reported. Desperate typhoon victims scoured for food due to extreme hunger and not enough relief supplies. The wrenching smell of rotten corpses also enveloped the affected areas; thus, health and sanitation had been a major concern. The Yolanda-stricken areas and the desperate pleas of the calamity victims had raised concerns at international communities and other aid organizations, both international and local to immediately send out huge amounts of financial aid and assistance as well as manpower. Millions of dollars more were pledged towards relief and recovery for Yolanda survivors. Programs, movements, and other fund-raising activities had been organized by humanitarian advocates from public and private sectors as a form of sympathy and support to the victims. Although the government cited a continuous rehabilitative action towards reconstruction and revival, a year on, the progress in a large scale point remains to be hard to come by in the provinces struck by Yolanda. As reported, thousands upon thousands of people remain to be in makeshift shelters and bunkhouses which is an open invitation for devastation to future typhoons. The unemployment rate is very high and countless areas are in desperate need for restoration of livelihood, human settlement, psychological and spiritual recuperation, health and sanitary protection, reconstruction projects, and most especially food assistance. Life indeed is still a painful struggle for survivors. Although a lot had moved on, some are hopeful and the rest had accepted the traumatic disaster, positive and just wanting to start again from ground zero. Even the government acknowledged the fact that the rehabilitation seems to be taking too long, given the other complexities of problems and issues the country has to face. According to Panfilo Lacson, known as the rehabilitation czar, the P167.9-billion Yolanda Comprehensive and Rehabilitation Plan by President Benigno Aquino III, was signed 10 days before the first anniversary of the disaster, in order to help in speeding up the rehabilitation work. The master plan had been greatly condoned by different public and private sectors because of the insurmountable delay. Critics of the Aquino government showed protests why it took almost a year before the plan has been drafted and funding of the restoration had been released. The relief operations they said are selective and in disarray for the substantial improvement. Philippine Movement for Climate Justice (PMCJ) National Coordinator Gerry Arances was quoted, “After one year, without a clear people-centered rehabilitation plan, tens of thousands still living in tents and bunkhouses, no substantial economic activities and sustainable jobs, among others, we can fairly say that what the government has done is add more insult to injury for our kababayan who have suffered the wrath of typhoon Yolanda and are still continuously suffering (because of) the ineptness of this government,”. May we continue to extend our support and prayers to all the victims and their families towards full recovery and revival in terms of their livelihood, security, settlements, financial sustenance, food allocation, health and wellness as well as spiritual revitalization.